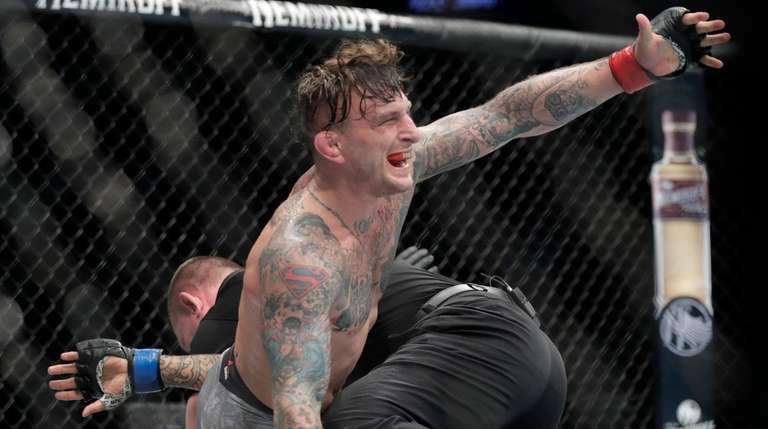 Gregor Gillespie won’t call out big-name fighters to get his next marquee bout. If he keeps this up, he’ll never have to. Gillespie looked every bit a title contender in his TKO victory over Yancy Medeiros at UFC Fight Night at Barclays Center on Saturday. 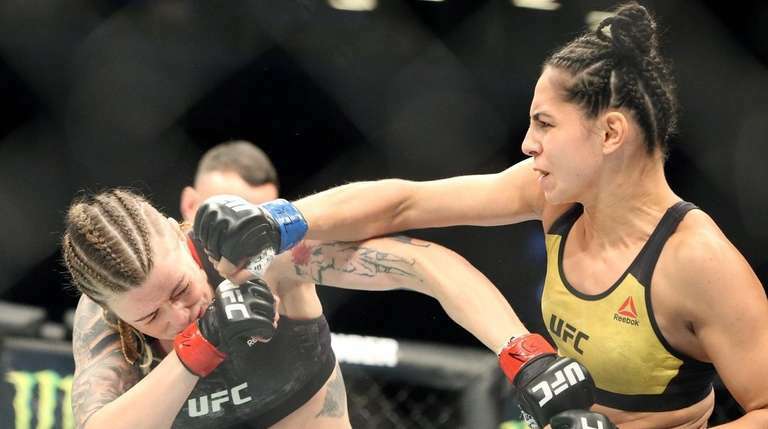 The LIer dominated the fight on the ground, stifling Medeiros throughout and clinching the victory at 4:59 of the second round. Gillespie went for a single leg early and scrambled to Medeiros’ back, working hard to get him to the canvas, but struggling to keep him there. He mixed in some knees as Medeiros tried to stay on his feet, leading to some wild scrambles, but each ended with Gillespie maintaining his body lock and controlling the action with his suffocating grappling. As a “Let’s go Gregor!” chant emanated from a corner of Barclays Center, Gillespie opened the second round with a few big punches before again springing forward and pushing Medeiros into the cage. Medeiros tried to control his opponent’s wrists, but Gillespie had little issue escaping and reestablishing the dominant position. He appeared to look for his own submission soon after, prioritizing positioning over striking on the ground. Medeiros managed to return to his feet near the end of the round, but couldn’t escape Gillespie’s grasp and ate a few knees before falling back to the canvas. Gillespie mounted Medeiros and started letting his hands go, throwing punch after punch before Medeiros stopped being able to defend. With just one second left in the round, the referee ended the fight, giving Gillespie his fifth straight finish.